Many economists model economic growth as if they were evaluating their own conversations with the person across from them, fully unaware that they are staring into a mirror and admiring the manipulated projection of what they had hoped to see. In still further cases, they appear to broadly model economic, fiscal and monetary policies as if they are learning to drive by strictly studying the movements of everything in the rear-view mirror. Of course, this method would largely serve to distract from the guiding principles of driving and the useful rules for effective navigation, yet if left exclusively to this perspective it would hardly be surprising for the surveyor to desperately formulate a contrived theory about the relationships between the behaviors of everything behind the driver and how he or she in turn maneuvers the vehicle. Of course, this theory would be aptly described as utterly incomplete, if not patently worthless, by anyone who’s ever personally driven a car, tagged along as a passenger or enjoyed any of the iterations of the Fast and Furious series. 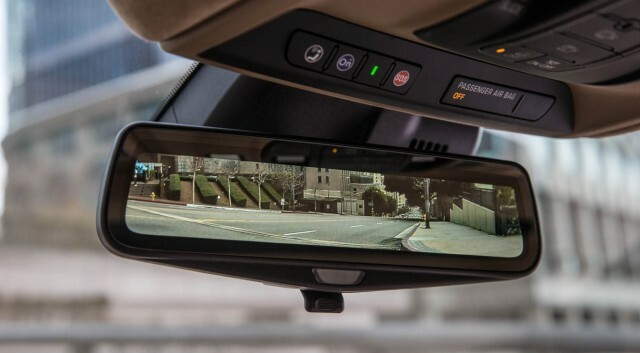 Oddly, the rear-view mirror economist suffers even more severely from myopia than even the driver who pays strict attention to the rear-view mirror in his vehicle, as the latter at least benefits from enhanced knowledge about his surroundings, just as race car drivers rely on the same. However, the economy does not travel on some predetermined path or track which can be thoroughly studied or completely known beforehand. What’s more, the competitive driver cannot exclusively rely on the rear-view mirror for the data he requires to navigate the course and the dynamic competition. To perform accordingly, he must consider, project and respond to the evolving events ahead of him. Moreover, although history can successfully illuminate a wide array of past happening and relationships, it cannot fully capture the unique combination of events which are due to intersect in the future. The rear-view mirror economist commits this error when he attributes economic growth to rising prices or, likewise, when he identifies the cause of the Great Depression and economic busts broadly to falling prices. Just as no shrewd weatherman would identify a rainstorm after witnessing a few wet blocks of pavement, much less classify the wet payment as the storm’s cause, the intelligent economist will consider the greater motion picture (and the unseen behind-the-scenes) before assuming such an ironclad relationship.